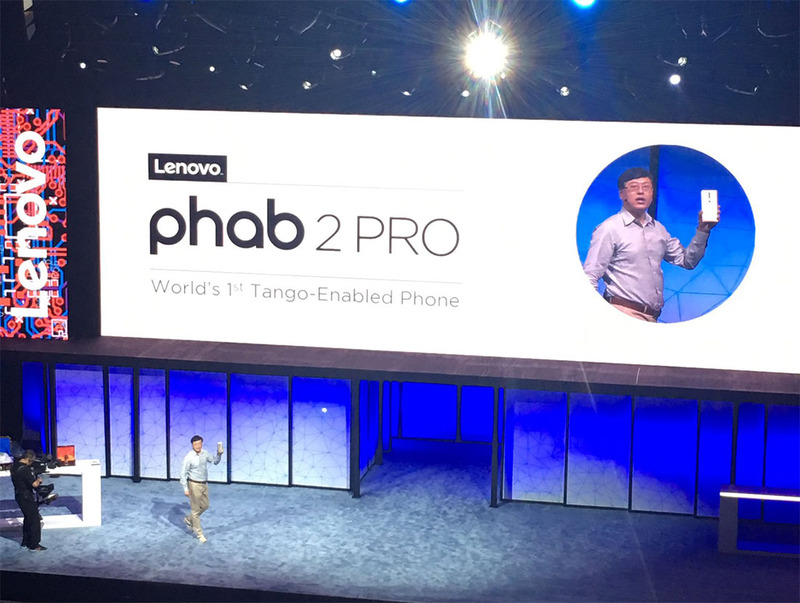 Lenovo Tech World is still ongoing at the moment, but Lenovo took a minute to unveil the first Project Tango phone, the PHAB 2 Pro. As the name suggests, it’s a massive phone, but it also has four cameras, a metal unibody, and almost everything else you could ask for in a flagship. As for quick specs, you are looking at a 6.4-inch QHD display, Snapdragon 652 processor, 4GB RAM, 64GB storage, 4050mAh battery with 2.4x fast charging, fingerprint reader, DOLBY Atmos sound with 5.1 audio capture, and four cameras for capturing Tango AR goodness. It has a 16MP rear camera, 8MP front camera, depth camera, and motion tracking camera. Of course, the point of a Project Tango (which is now just “Tango”) phone is to map your environment with all of those cameras, measure distances in real time, and even game no matter where you are. A giant 6.4-inch phone certainly should be able to do that well. The phone will be globally available in September at a pretty crazy low price of $499, unlocked, at retailers like Best Buy and Lowe’s.